The International Exhibition of Sherlock Holmes is just one example of the global reach and world class expertise that The Conan Doyle Estate can provide. Our international network of specialists have been closely involved in consultancy and detailing for the making of the exhibition and it was with pride that it was opened in 2013 at the Oregon Museum of Science & Industry by Richard Doyle,senior director of The Conan Doyle Estate and Sir Arthur’s grandnephew. The exhibition was hosted at the Powerhouse Museum in Sydney Australia in 2017 and the end of April 2018 has seen the acclaimed Exhibition putting down roots in Houston, USA. Working with The Conan Doyle Estate, The International Exhibition of Sherlock Holmes has been able to bring Sherlock to life. With the help of our experts the exhibition allows the visitor to step into Conan Doyle’s Victorian London and work side-by-side with his legendary detective. 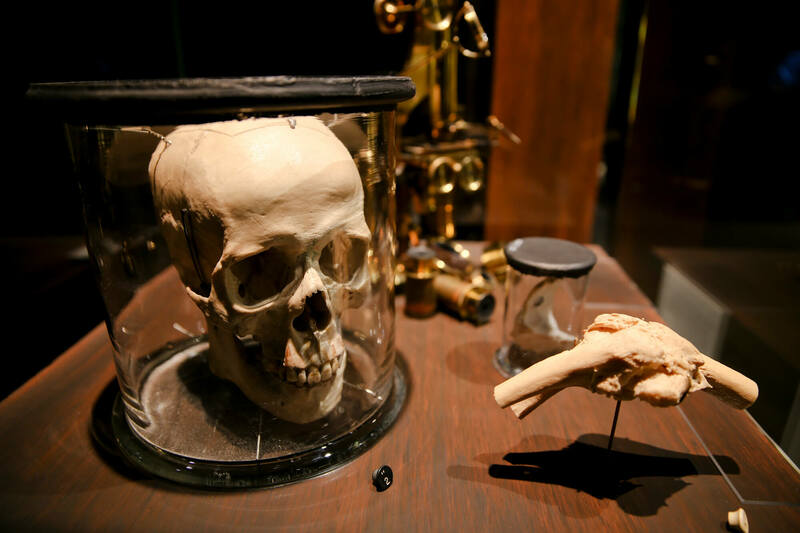 The clues that solve a crime inside the new “The International Exhibition of Sherlock Holmes” at the Houston Museum of Natural Science are anything but elementary. Even impassioned Sherlockians may find themselves stumped by the mystery of a gruesome murder, which makes reference to the original fictional stories created by physician and author Sir Arthur Conan Doyle but is a fresh case for the exhibition. At the entrance, glass cases display memorabilia and props from some of pop culture’s takes on the 19th-century detective series, including a curved pipe Robert Downey Jr. smoked when he portrayed Sherlock Holmes in the Warner Bros. film franchise and a pocket watch used by Jude Law, who acted as his sidekick, Dr. Watson. There’s also the pink suitcase that was a crucial clue in the first episode of BBC Television’s “Sherlock” and a trench coat actor Benedict Cumberbatch wore in the series. From CBS’ television show “Elementary,” fans will recognise a costume of Lucy Liu’s, who was cast as a female Watson. Those three modern-day interpretations created a new generation of Sherlock Holmes fans, said Geoffrey Curley, and that following is one reason his firm curated the exhibition, which has also made stops in Seattle and Sydney. 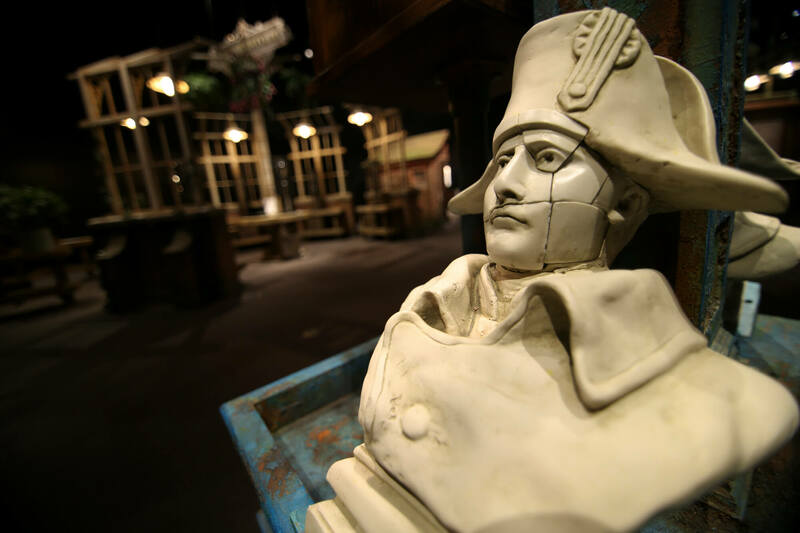 Curley is a former theatrical designer whose Minneapolis-based company was granted access to Doyle’s estate to research the show — super fans will geek out over Doyle’s original manuscripts, personal correspondence and photos on view. But it’s not all observation. 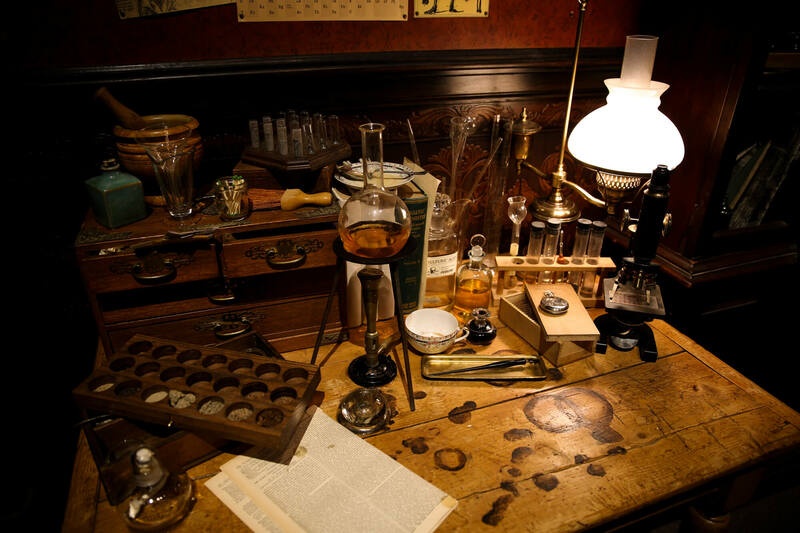 Before they enter a re-creation of 1890s Victorian London, where the crime has taken place, visitors get a detective’s notebook to record their findings. 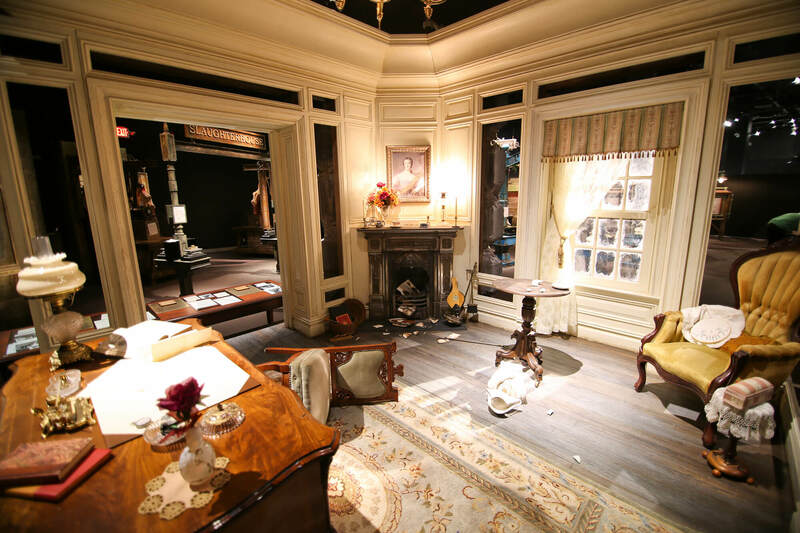 They’ll learn crucial details in a replica of the sitting room of 221B Baker Street in London, where Holmes and Watson regularly discussed their crimes. With dispatches and messages from Holmes himself, guests walk through Steampunk-era London to uncover clues in a train station, penny arcade and slaughterhouse. They’ll use hands-on, interactive tools for evidence analysis, including blood-spatter tests, re-creation of broken objects, footprint analysis and tracing a bullet’s trajectory. Brian Clark acknowledges he didn’t solve every aspect of the mystery. Clark heads up the John Openshaw Society, the Houston chapter of an international group of Sherlockians. He took a private tour to prepare to become a volunteer docent for the exhibition. He called the historical re-creation of London “beautiful” and said it will captivate even “hard-core Sherlockians” like himself. Even though he was a careful observer of all these details, Clark said a twist at the end of the crime-solving plot threw him off — visitors learn if they were successful when words from a newspaper clipping are revealed. He’s looking forward to returning with his 10-year-old son and 12-year-old daughter, who are also Sherlock fans, to see how they fare.